Currently, the main product of the Debian project is its stable release. Those release come out approximately every 18-24 months. This article gives a short overview of the process leading to the next stable release. Immediately after a stable release, a new distribution is created in the Debian archive. Its initial content is a copy of the (just released) stable distribution. Its codename is decided by the release managers and there’s a tradition of picking a character’s name from the Toy Story movie. As an example, the “wheezy” distribution will be created once “squeeze” (aka Debian 6.0) is out. For simplicity there’s a generic name to refer to the distribution used to prepare the next stable release: it’s testing. In the Debian archive, testing is just a symbolic link pointing to the right directory (squeeze currently). During most of the cycle, developers work on packaging new upstream versions and implementing release goals. They upload their packages in the unstable distribution. From there packages trickle to the testing distribution once they satisfy some quality checks: they must not have new release-critical bugs, they must have been built on all architectures that were previously supported, they must not break any dependency in testing, and they must have spent at least 10 days in unstable. This minimal period ensures the package has been tested and gives enough time to users to file bugs if the package is suffering from problems. If the problems are deemed release-critical, they will block the migration of the package to testing. During this part of the release cycle, the main work of the release team is ensuring that updated packages flow from unstable to testing. It can be a tricky task: package dependencies frequently tie packages together so that they can only migrate to testing together. If only one of the tied packages is not ready (for example if a new revision has been uploaded and has not spent 10 days in unstable yet), then none of them can migrate. 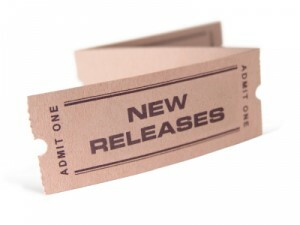 The constant churn of new packages makes it very difficult to build a very polished release. That’s why, at some point, release managers freeze the testing distribution: automatic updates are stopped and they vet every single update made to testing. They have strong requirements, the goal is to only allow updates fixing release critical bugs, or those which are low-risk and bring significant value to the user experience (like new translations, updated documentation, etc.). During freeze, some packages are also removed because the current upstream version can’t be supported for the lifetime of the stable release. The freeze tends to slow down the pace of changes in unstable. Many maintainers opt to push new upstream versions in experimental instead so that if they need to update their packages in testing, they can still do it through unstable. This procedure is recommended by the release managers because it means that updates that they unblock have been tested as usual. It’s not the case for updates uploaded directly to testing (through testing-proposed-updates). This behavior is rather annoying for the bleeding-edge users that use testing or unstable like a rolling release. Once release managers are satisfied of the quality of the new distribution, some last minute work is needed, like generating the CD images. In the Debian archive, the release is made official by pointing the “stable” symbolic link to the new distribution (and the “oldstable” one to the previous distribution). The Constantly Usable Testing project aims to make testing a first-class product like stable—but with a very different update policy.